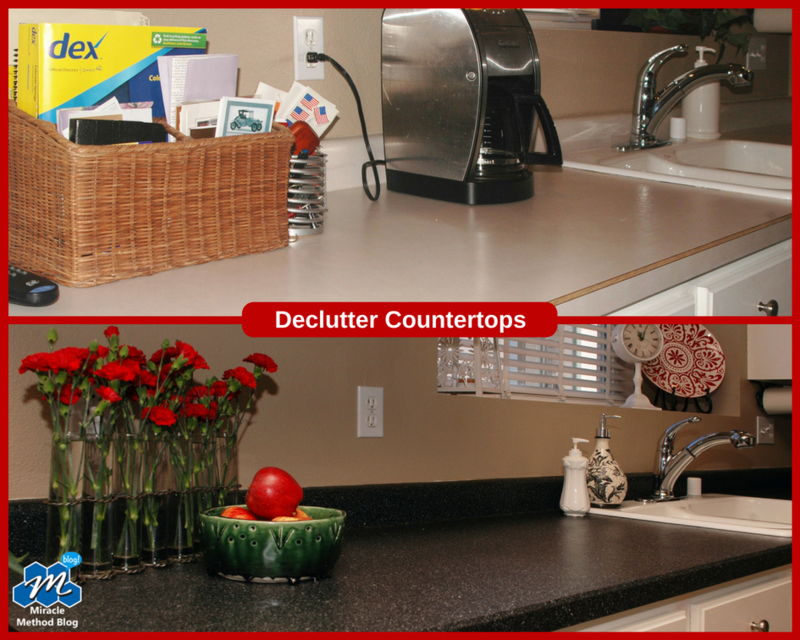 Has your countertop edge been under dire need of a facelift? 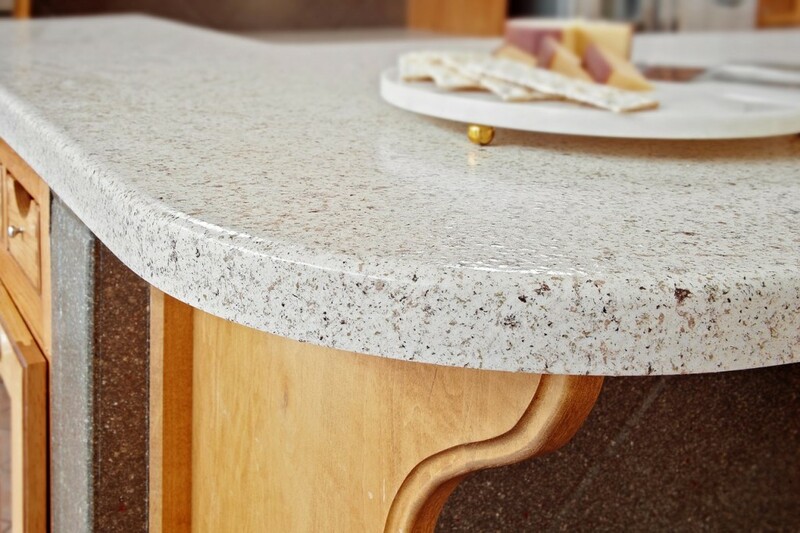 Adding a bullnose edge to your countertop can make it look new, and provide a lasting improvement that is less likely to show damage. 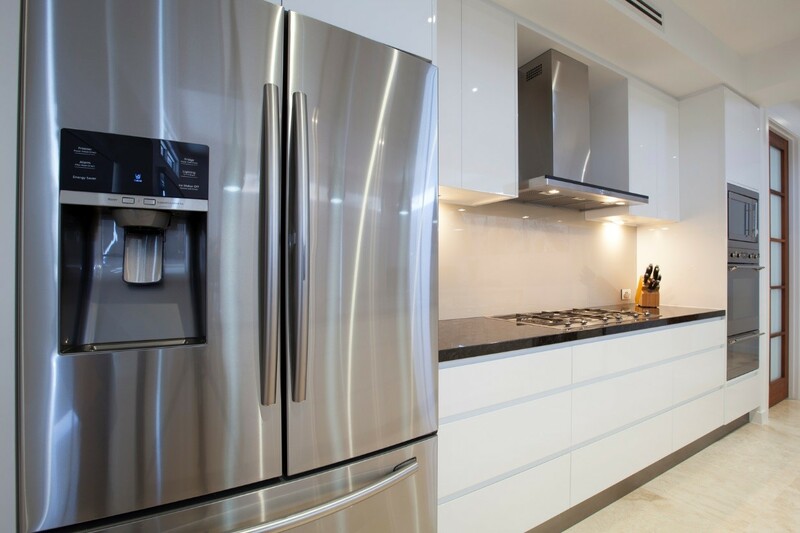 Oftentimes when people buy a home that needs significant improvements, the kitchen usually causes the most worries. After the expense of buying a home, there usually isn’t a budget for home improvements projects that tend to be expensive. Projects dealing with countertops are one of the biggest hassles and can be quite pricey for a new homeowner. Thankfully, countertop refinishing is a more cost-efficient way to make a lasting home improvement to a kitchen that needs a quick remodel. Countertop refinishing allows you to try different colors and styles while also getting rid of rough edges, knife cuts, broken siding, and bubble burns from hot pots. 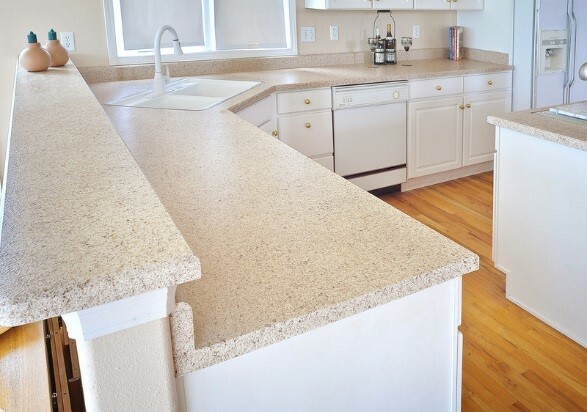 One of the more popular improvements to a countertop is the addition of a bullnose edge. 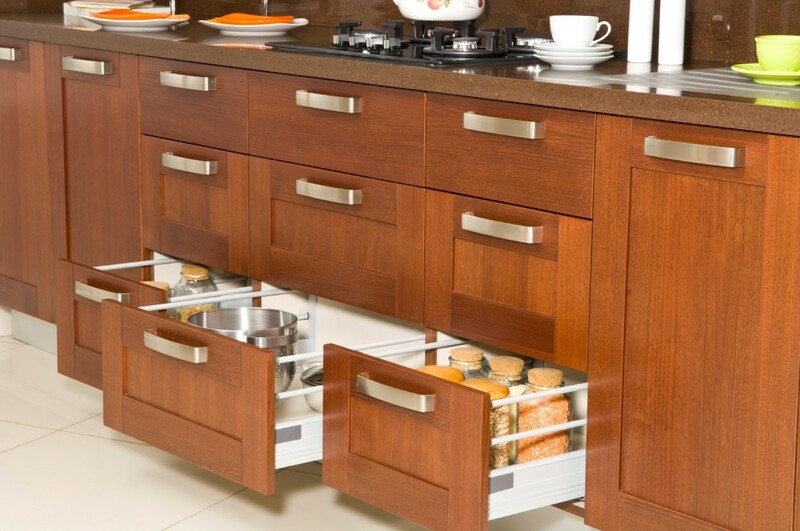 It is not only an aesthetically pleasing addition for your home but it’s also practical and beneficial. 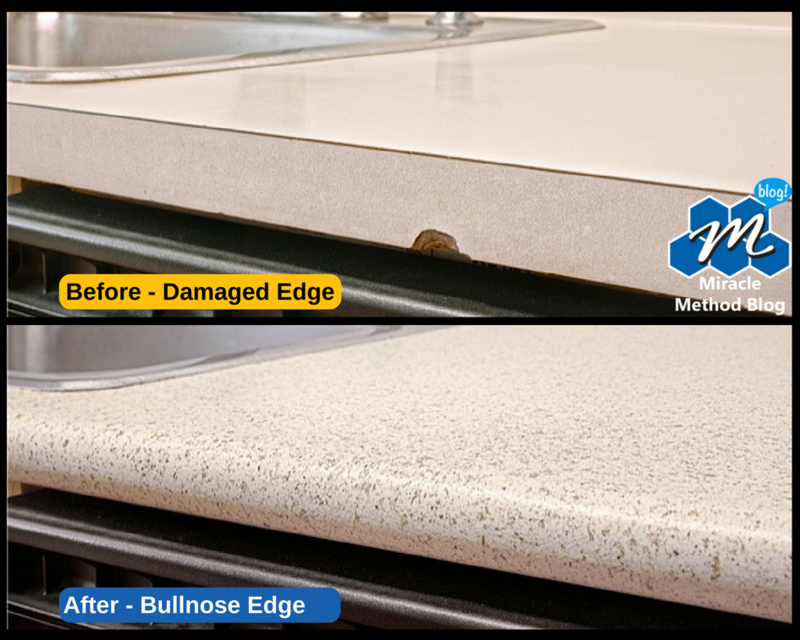 Miracle Method can repair those unsightly chips, add a bullnose edge, then refinish your countertops with Natural Accents™ Stone-Look Finish. An easy and efficient 2-3 day project finished by professionals that costs thousands of dollars less than replacing your worn-out kitchen countertop. One of the biggest benefits of bullnose edges is that they are designed for safety and longevity. The curved edge is far safer than a sharp or unfinished one. The simple and smooth custom look of bullnose edges is another big selling point among consumers today. Guests would be more unlikely to try to crack open a cold one with the boys on the side of your beautiful curved counter. Just be sure to have a bottle opener nearby to help out! 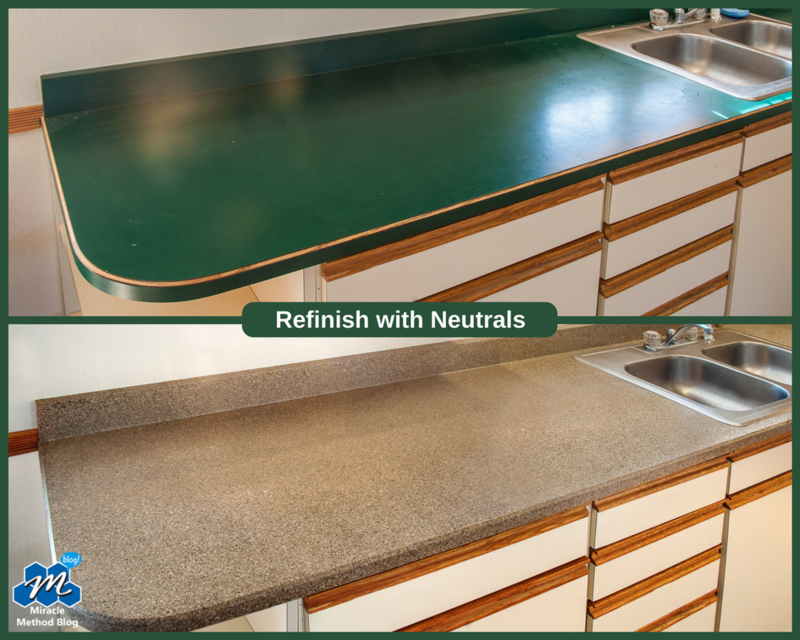 Anyone can charge an arm and a leg to put down a slab of countertop these days, but if you want to refinish your old countertop to look new and professionally done, adding a bullnose edge is the way to go! Contact Miracle Method today for your refinishing needs. Kitchen Countertops: Replace or Refinish? It’s important to consider all your remodeling options before you start designing the kitchen of your dreams. Let us guide you through the process of selecting a renovation method from start to finish that best fits your needs, timeline, and budget. Traditional replacement methods consist of tearing out and removing existing fixtures. New countertop selections in popular materials like granite or stone can easily become overwhelming due to the mess and hassle of lengthy construction timelines. The process of installing brand new countertops can put your kitchen out of service for weeks or even months at a time. The enjoyment of having brand new countertops comes with the mess, stress, and expense of replacement. If you find yourself leaning more towards replacing your countertops, be sure to plan accordingly! Any type of remodeling that involves fixture removal, replacement, and new installation typically will drive renovation costs up by 50-75% compared to affordable alternatives like surface refinishing. On average, countertop replacement for an average sized kitchen costs about $5,000-$8,000 depending on the total square footage. Carefully evaluate your budget and timeline, when determining if replacement is the best remodeling option for you and your family! 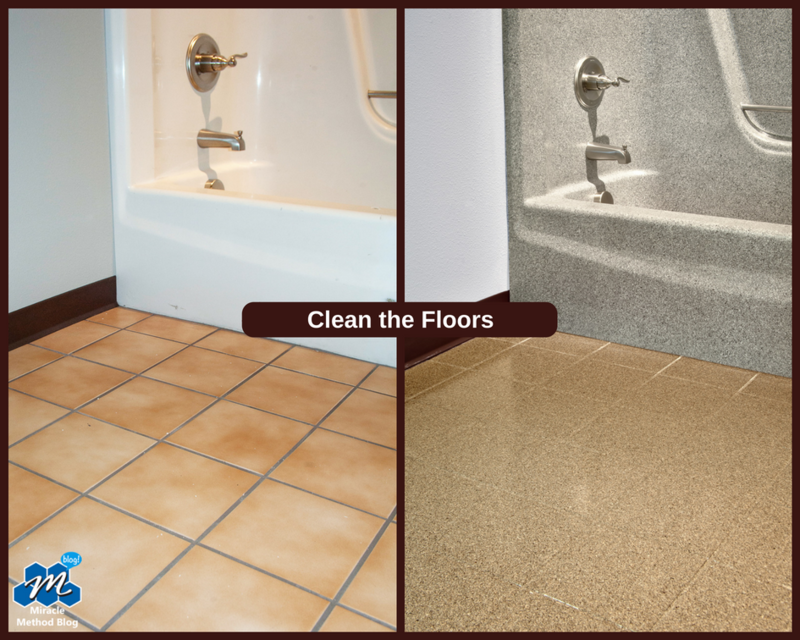 Unlike replacement, surface refinishing is one of the most affordable remodeling alternatives out on the market today. Surface refinishing is a unique, multi-step process that repairs and restores existing kitchen and bathroom fixtures right in place. 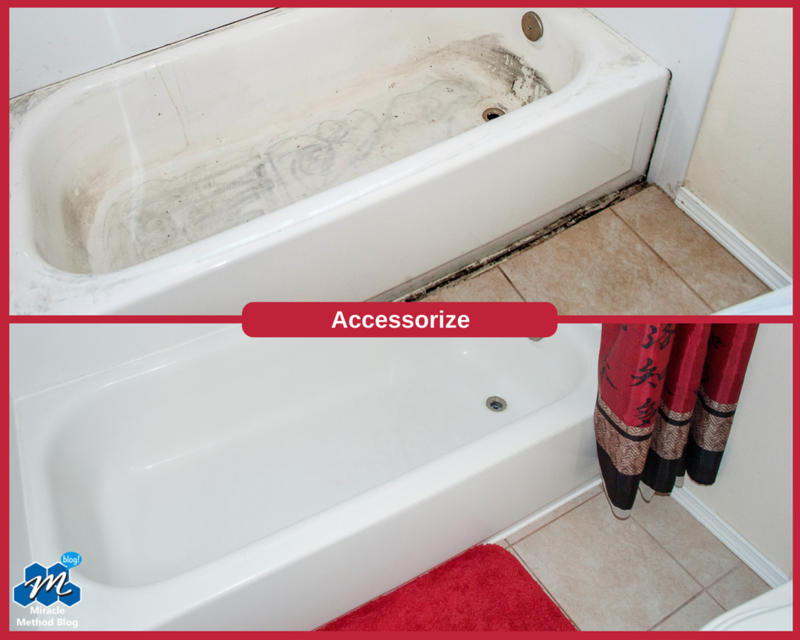 Bathtubs, showers, countertops, vanities, sinks, and tile can all be restored to look and feel like new again without replacement. The benefits of surface refinishing are many, but one that is especially important for homeowners is the entire process can be completed in as little as just 2-3 days. All while avoiding the hassle and stress of demolition mess and the savings are up to 75% over the cost of replacement options. Miracle Method, the nation’s largest surface refinishing company makes it incredibly easy and affordable for homeowners to give their outdated, damaged or simply discolored surfaces a fresh, new look without costly replacement. Take a look at some of their stunning transformations right here. 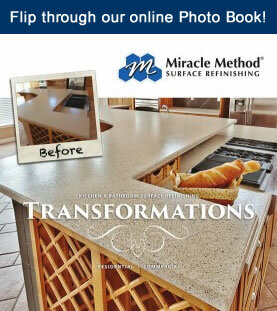 Give your kitchen the look you’ve always wanted with surface refinishing, call Miracle Method today for a free estimate at 855-212-7337 or find a location near you! 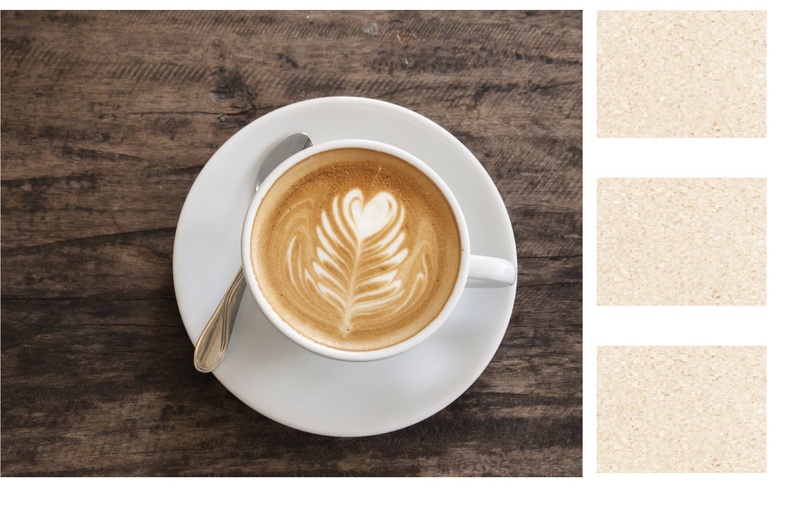 Cappuccino white has set the trend board for 2016 Color of the Year, a subtle hint of neutral complexation resembling a warm milky, mocha latte! Awaken a sense of calming with a soft organic color palette highlighted by dark earthy undertones. Rejuvenate style instantly by achieving a subtle white cappuccino theme decor, perfect for any space you choose! 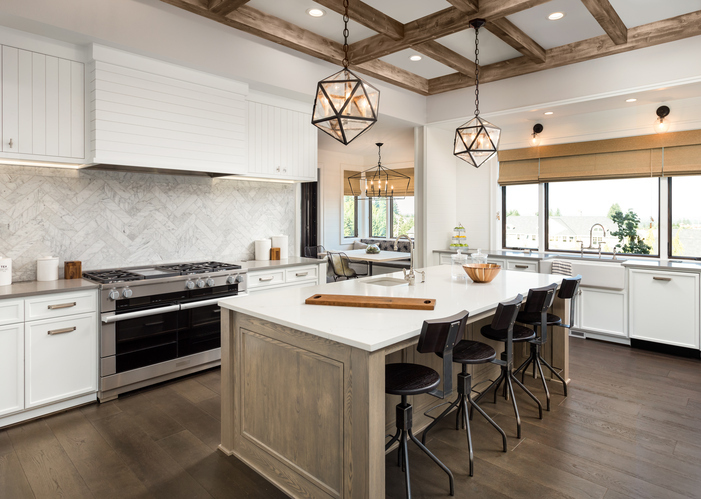 Stay connected with all the latest style secrets, trending color patterns, and fashion forward elements related to home design. 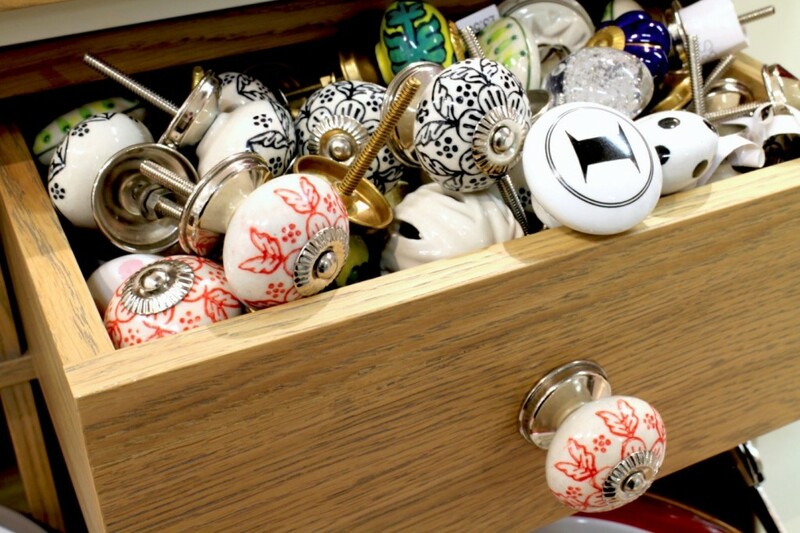 Discover clever ideas to introduce cappuccino into your existing home decor. GLIDDEN® paint shows off the finest color trends of 2016, in a variety of virtual room layouts inspired to design any living space you choose. Paint a beautiful cappuccino white accent wall infused by warm neutral hues to create a peaceful atmosphere throughout the entire home. Accent walls painted with light colors provide the right touch of contrast for a cozier, gentle space. Complete your final look by combining fashionable accessories, decorative bedding, and sweet scented candles. Spruce up your décor! Refinishing transforms outdated kitchen and bathroom countertops to neutral multi-color surfaces similar to the color palette of cappuccino. 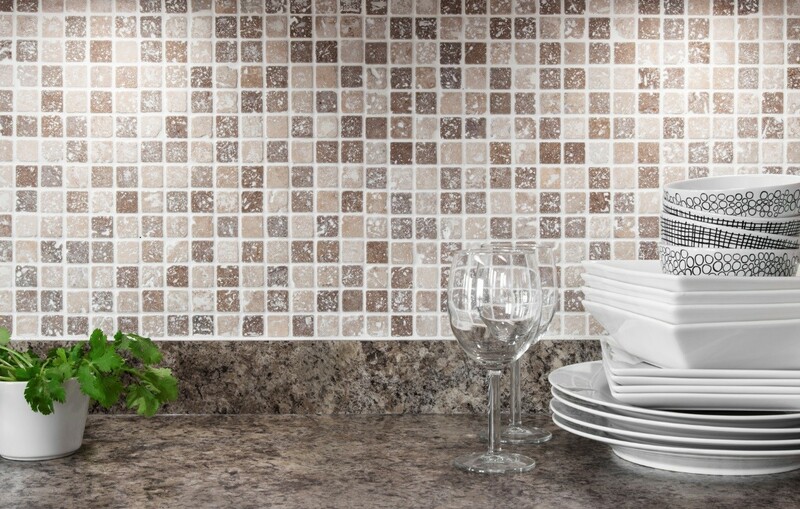 Neutral countertop surfaces are an attractive remodeling component to appeal to longer lasting trends. Renew cultured marble, Corian, Formica, Wilsonart and other laminate surfaces with Miracle Method’s Surface Refinishing process. 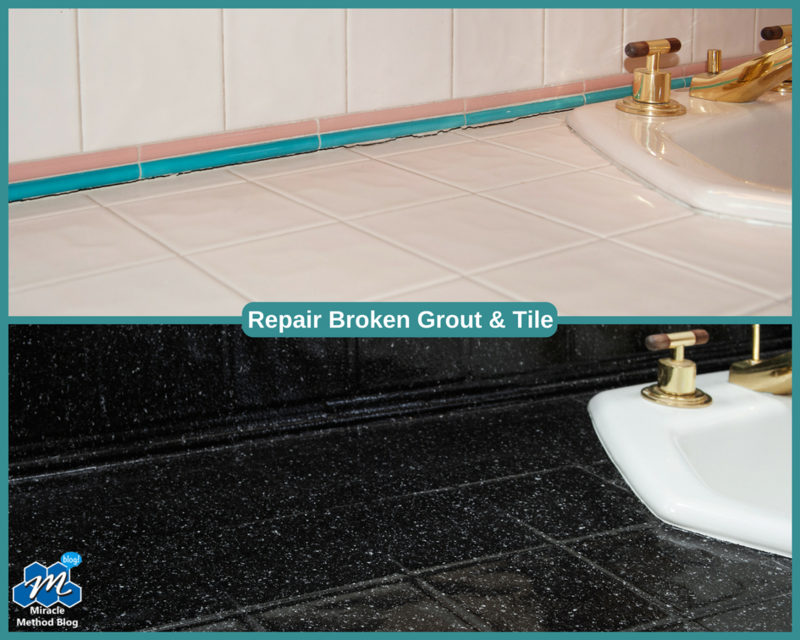 Restore existing fixtures while offering a durable and attractive remodeling solution at a fraction of the cost. Create a whole new look in as little as 1-2 days, choose from over 30 designer colors , 2016 color of the year never looked so good! There’s no better way to obtain a sophisticated design than mixing it up from solid to patterned fabric pillows. Create the ultimate cappuccino blend by pairing shades of white, cream, and beige together, all while encouraging modern comfort. Free your mind from the everyday chaos. Sit back and relax with uniquely simple decorating elements. Shop a wide range of fantastically affordable throw pillows from popular sites like Target, Pier1, and WayFair. Just add pillows to modernize your living space! Home Remodeling is made simple with Miracle Method Surface Refinishing, check out our website for more information or call to receive a free estimate at 855-212-7337. Locate a franchise near you!